Quick FAQ To Get To Know Us: Aluminum badges are approx. 3.74" & require that much space. Kits have a 12 month warranty (see our FAQ page). Badge kits included flat and grille mount hardware & require only minutes of final assembly depending if you choose to universally flat mount them OR model specific grille mount them. They can be custom painted before final assembly, they can be waxed and the thick middle resin artwork can be upgraded or swapped later for different designs without having to buy a whole new kit! Take note, if you grille is POLISHED, ALUMINUM or CHROME you should pick up the rubber washer shown below. 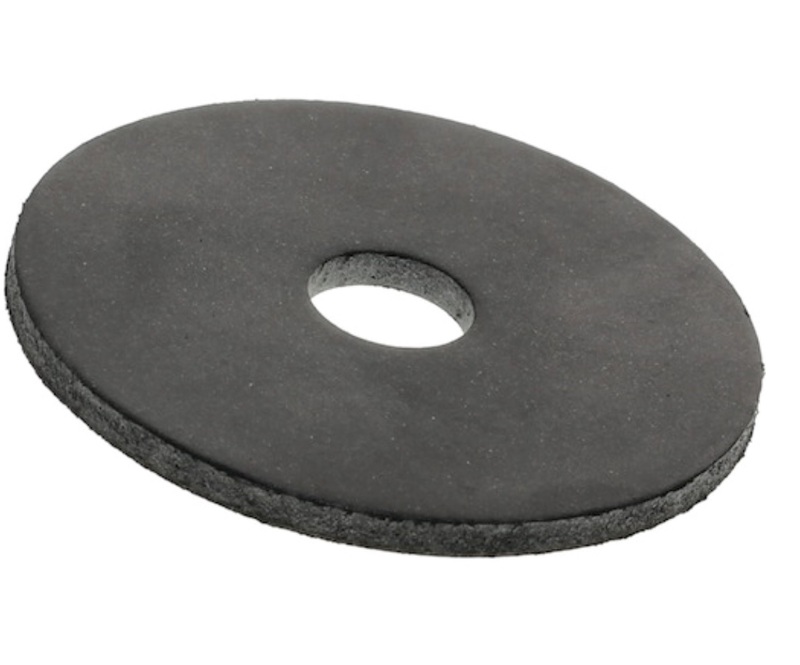 Place rubber washer directly behind badge kit for extra protection against scuffs. This is NOT needed for plastic/honeycomb style grilles.